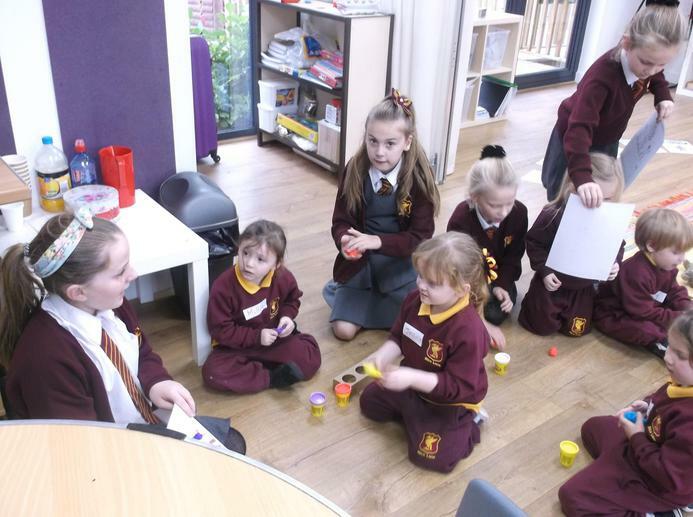 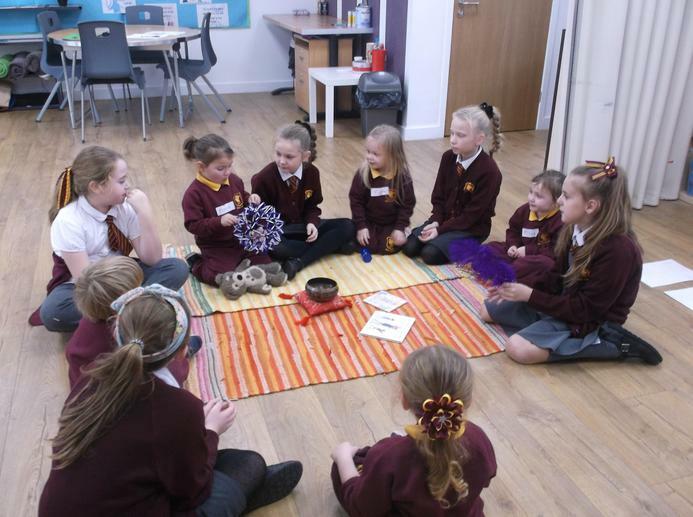 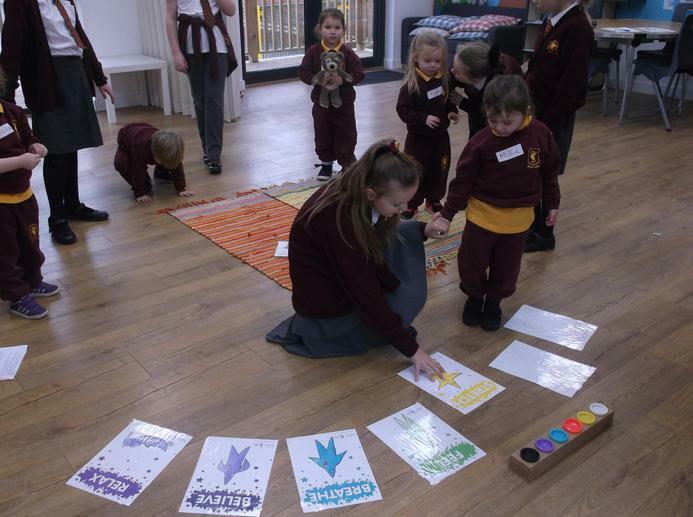 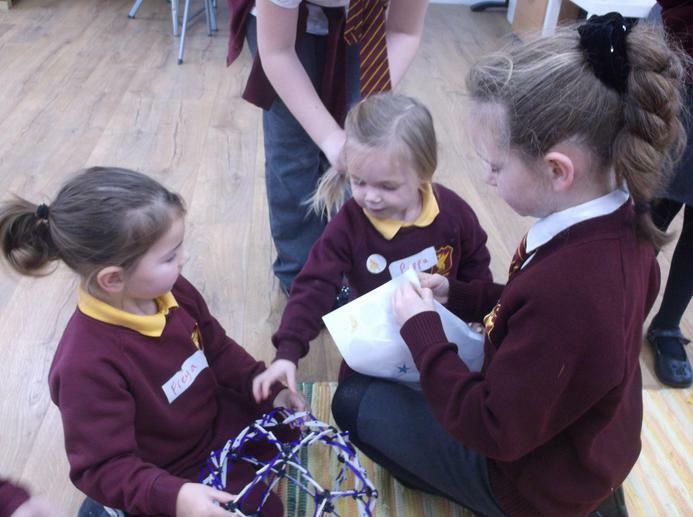 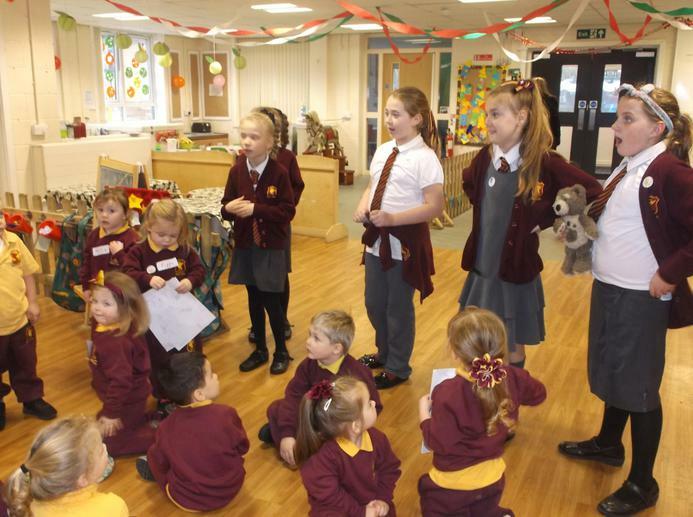 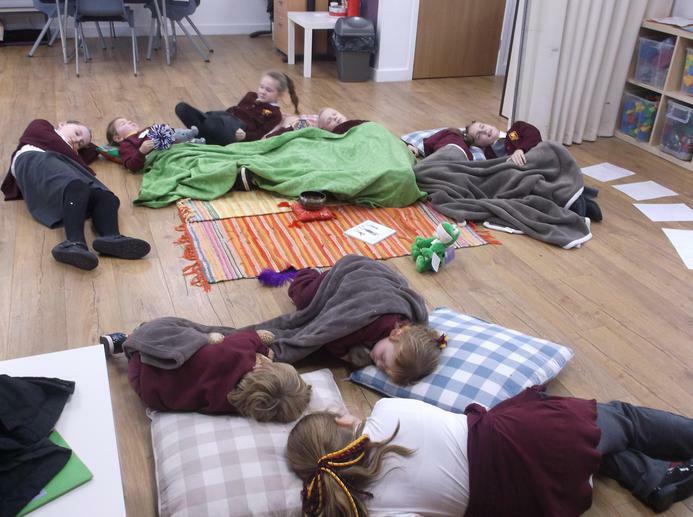 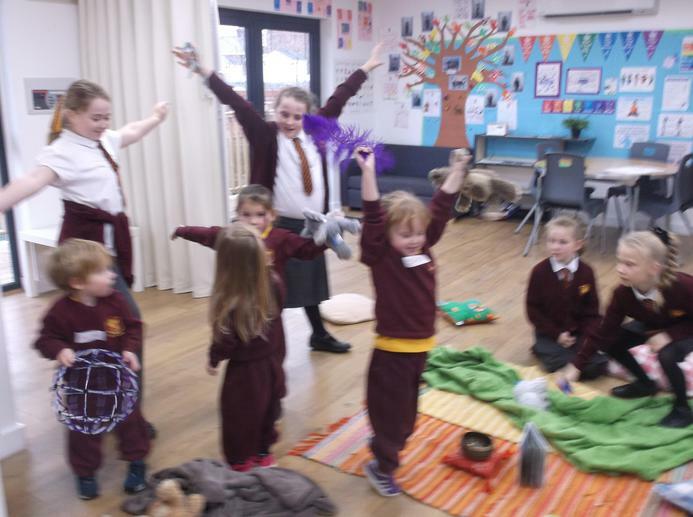 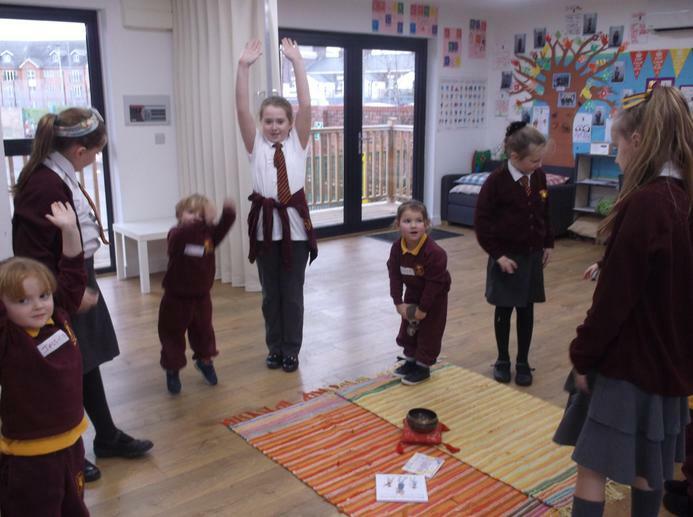 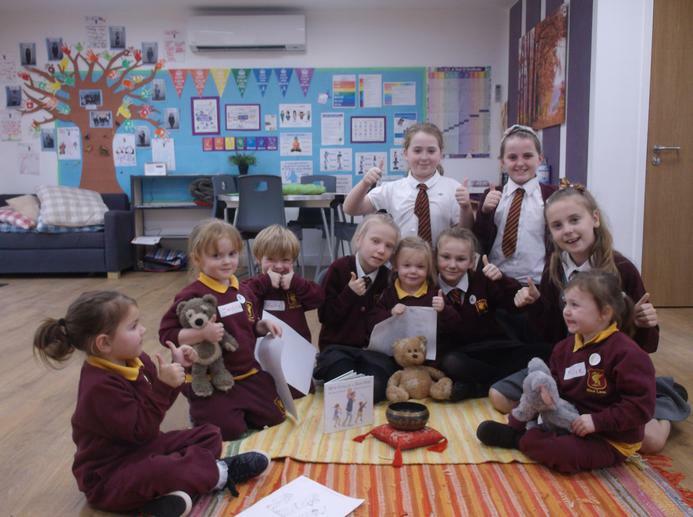 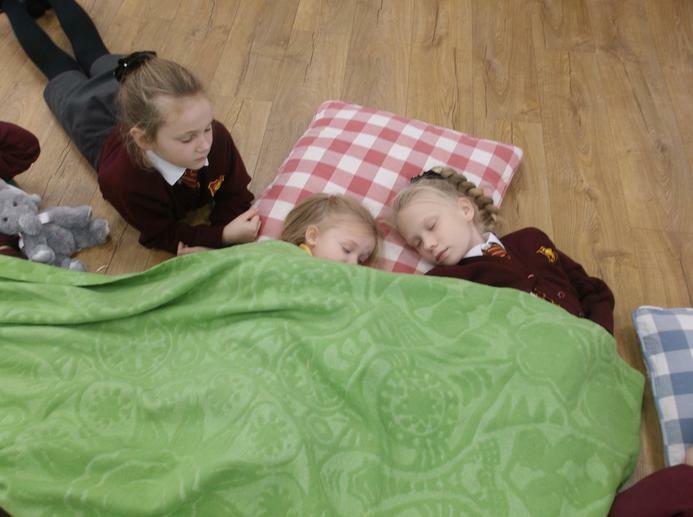 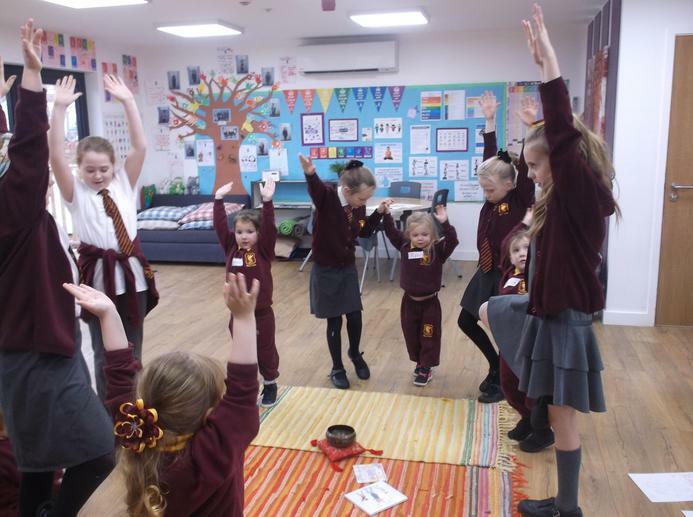 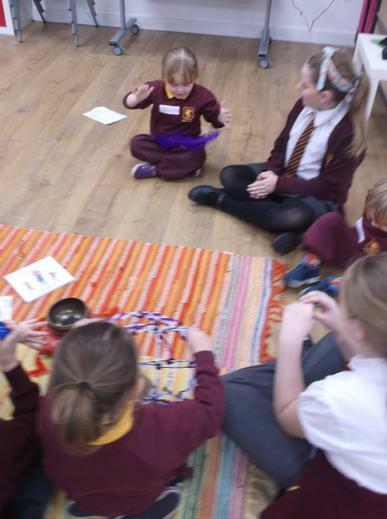 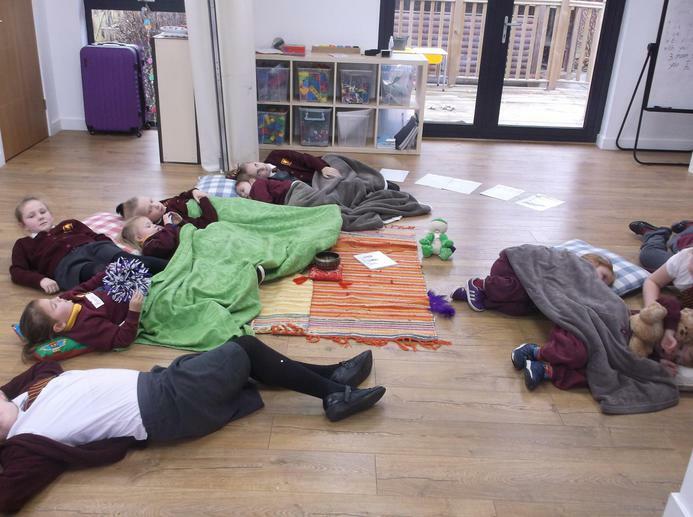 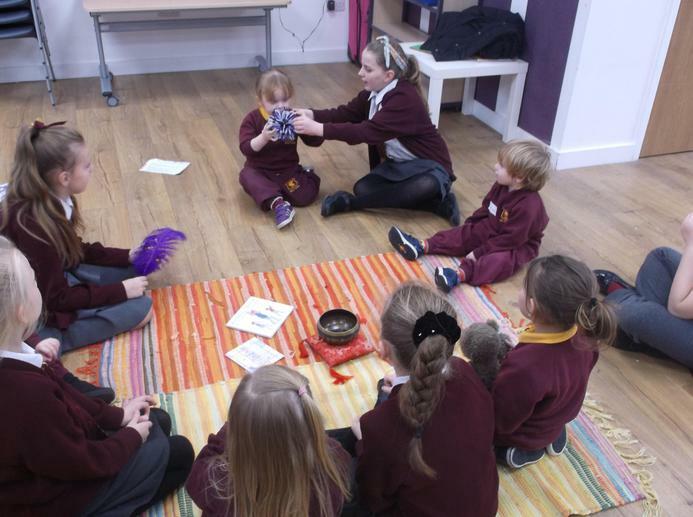 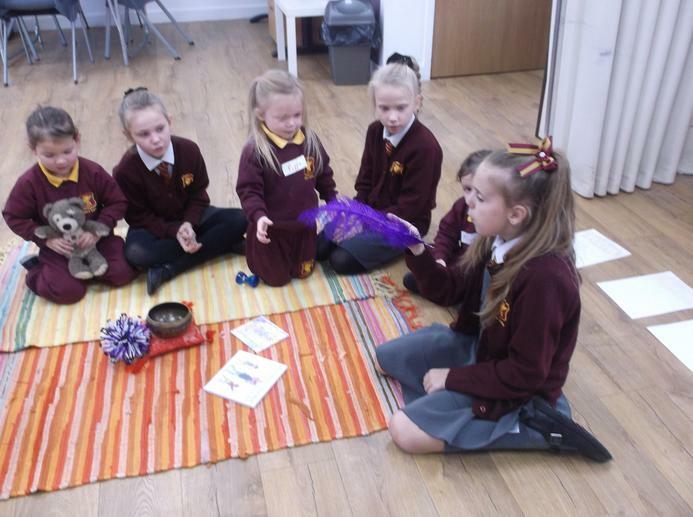 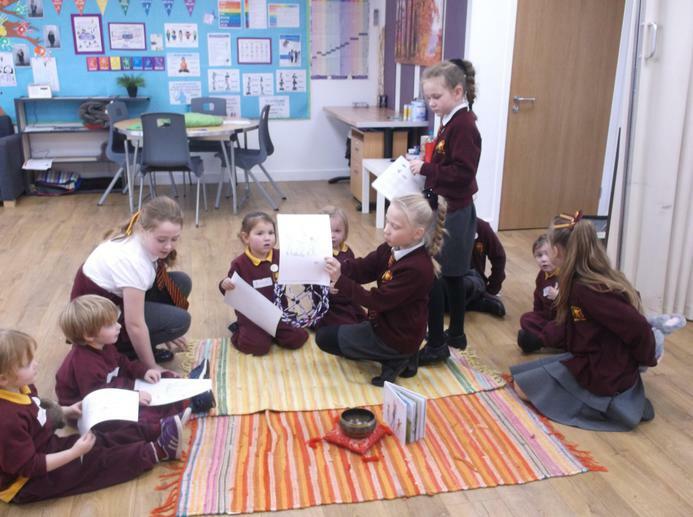 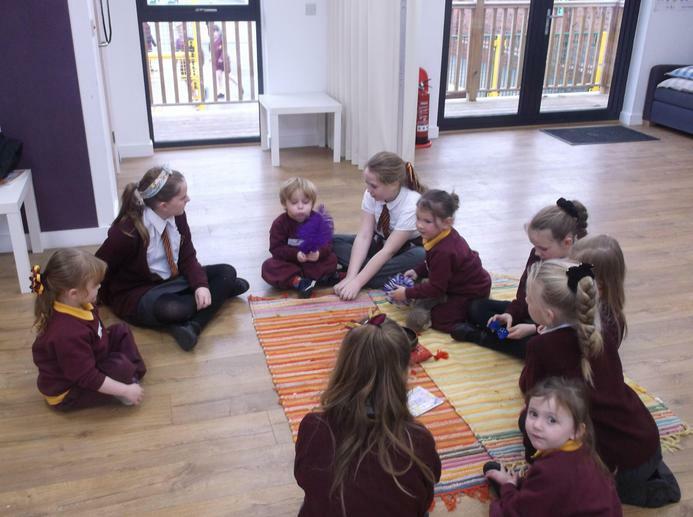 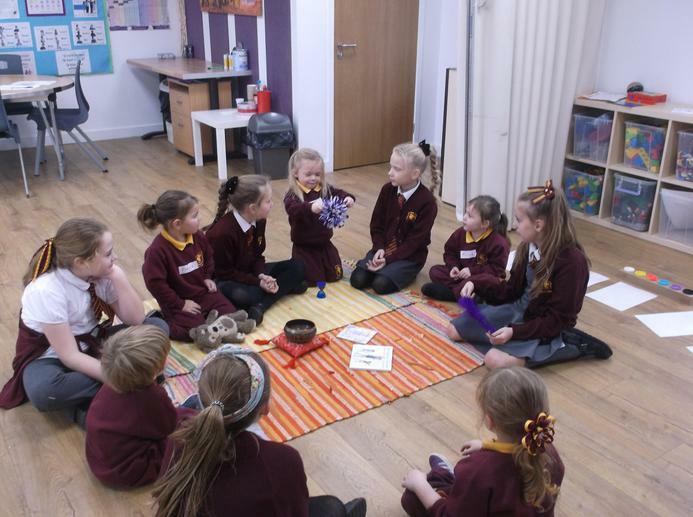 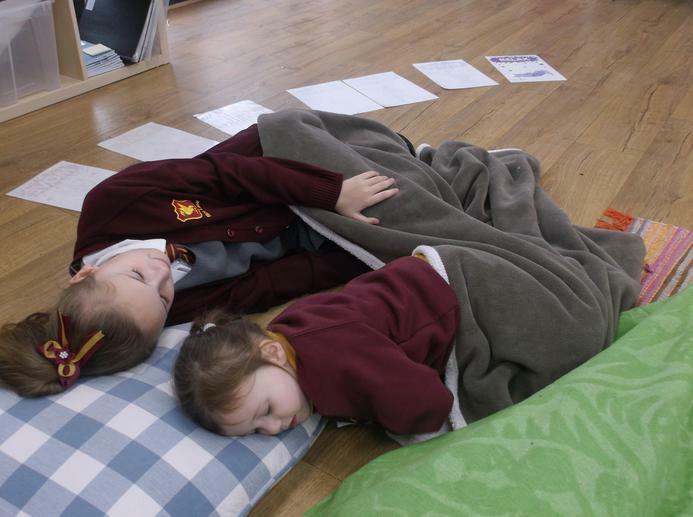 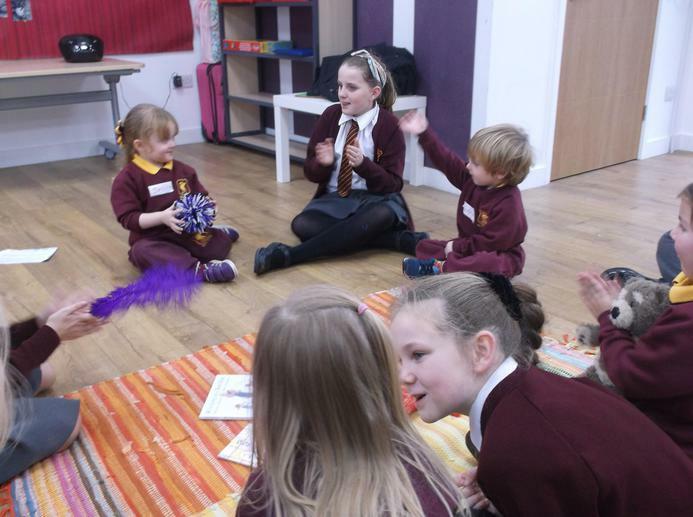 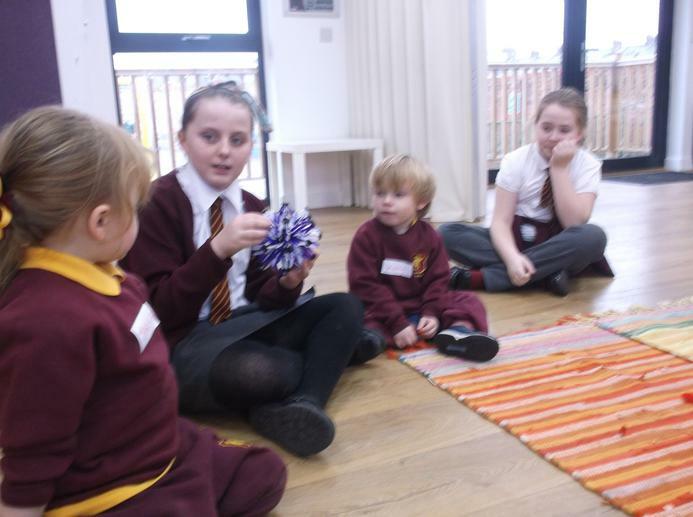 Children from Year 5 and Year 6 planned and delivered a Relax Kids 'Little Stars' session to Nursery children. 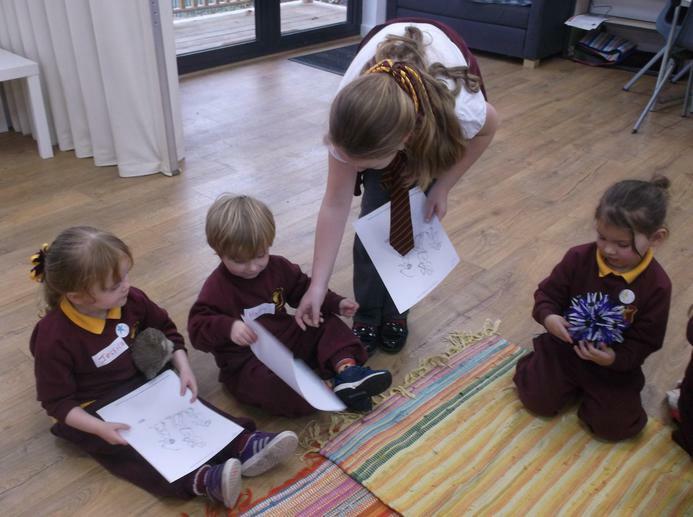 They took it in turns to read the story 'We're going on a Bear Hunt'. 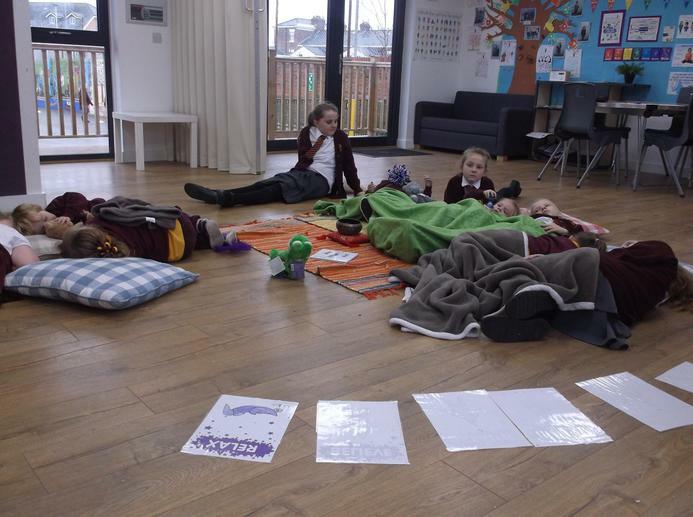 Then they followed the Relax Kids 7 steps. 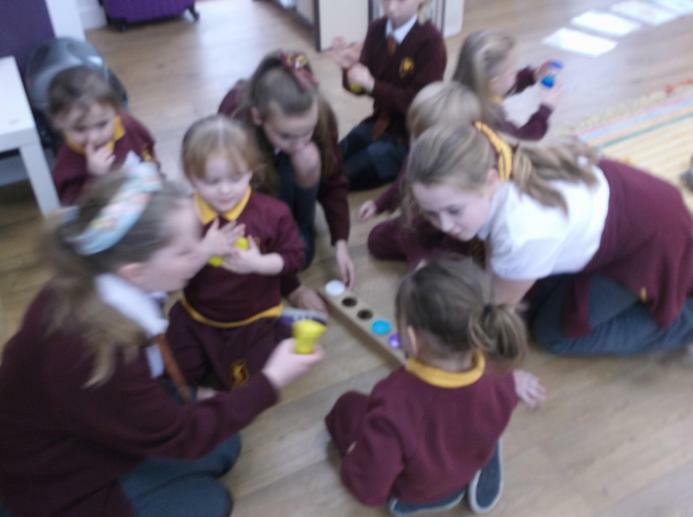 The Nursery children played a game of let's pretend. 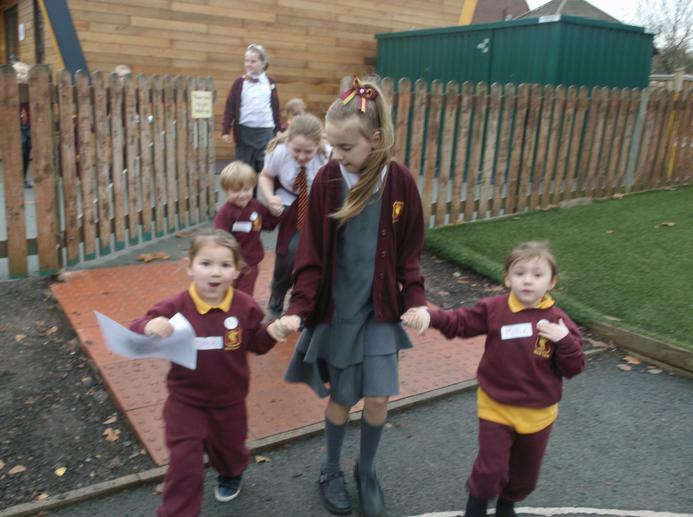 They walked through the swishy swashy grass. 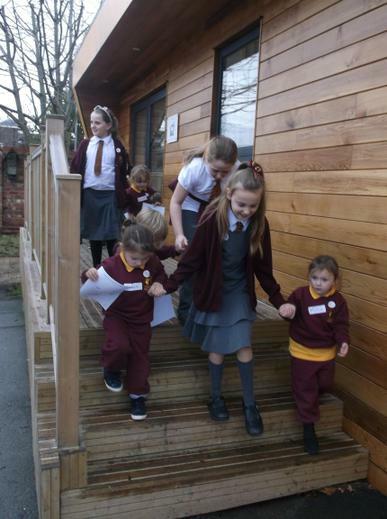 They ran through the squelchy mud. 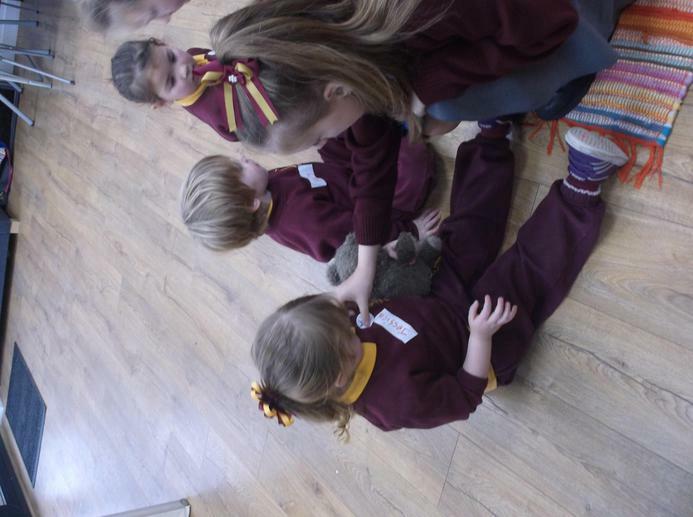 They tiptoed through the cave. 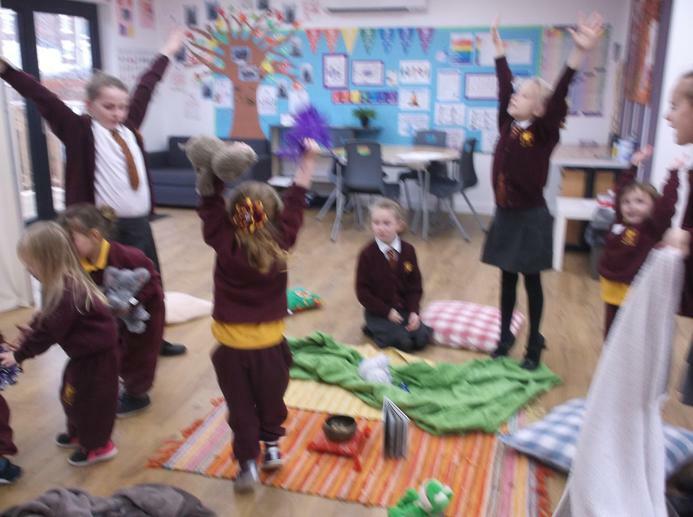 They stretched up high to become the trees in the forest and curled up to become a resting rock. 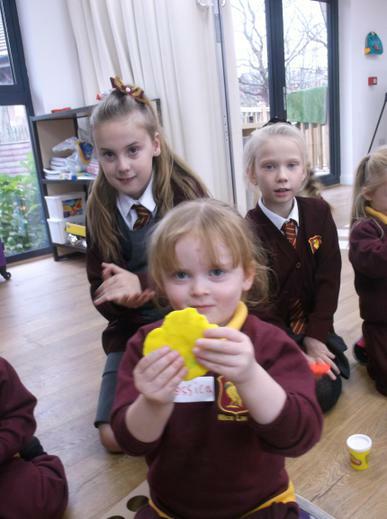 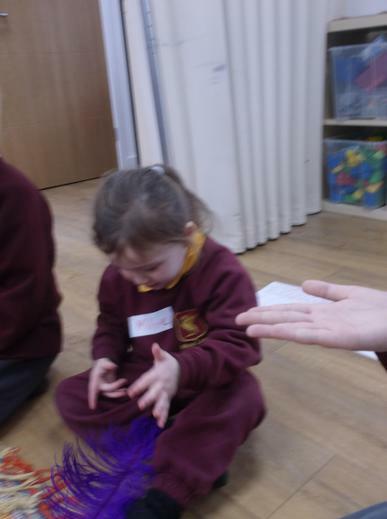 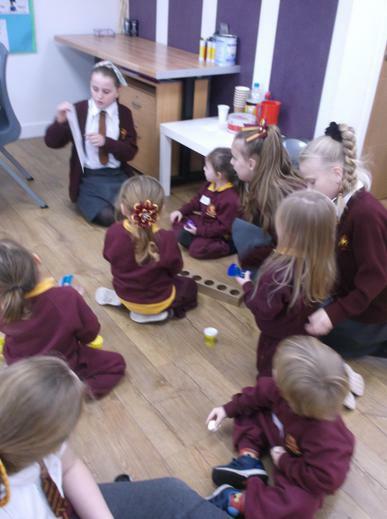 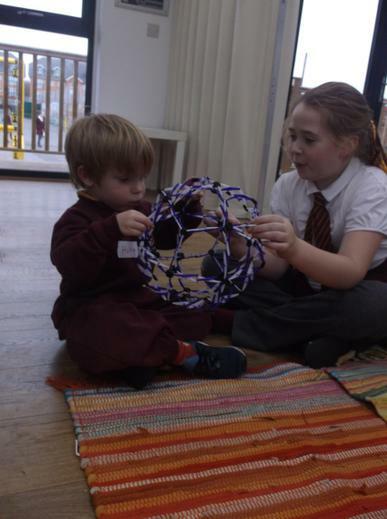 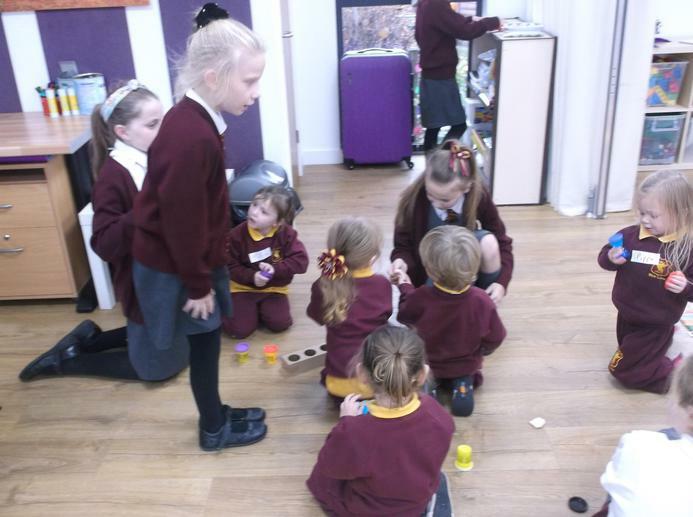 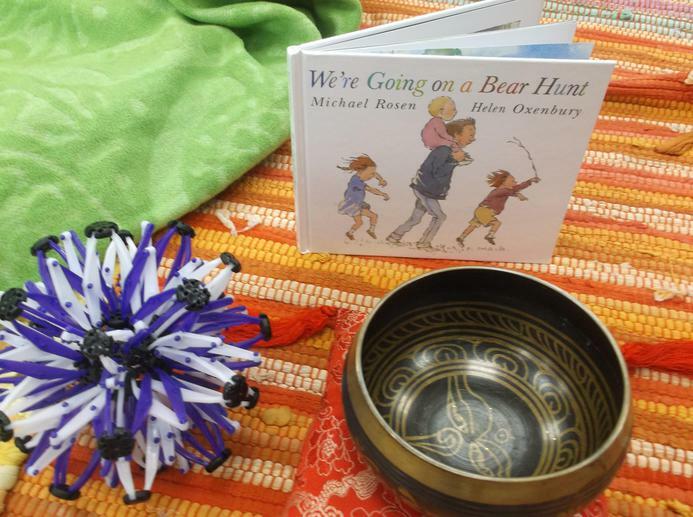 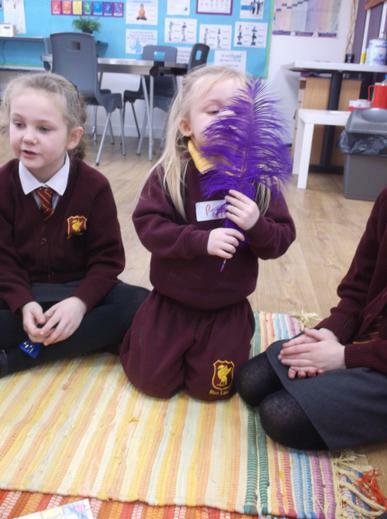 The Nursery children also completed basic self massage by using play dough and practised basic breathing techniques by using a Hoberman Sphere and a feather. 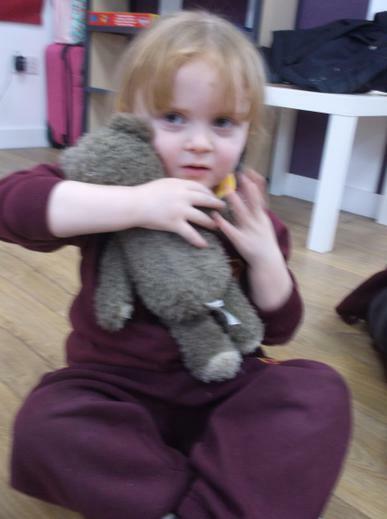 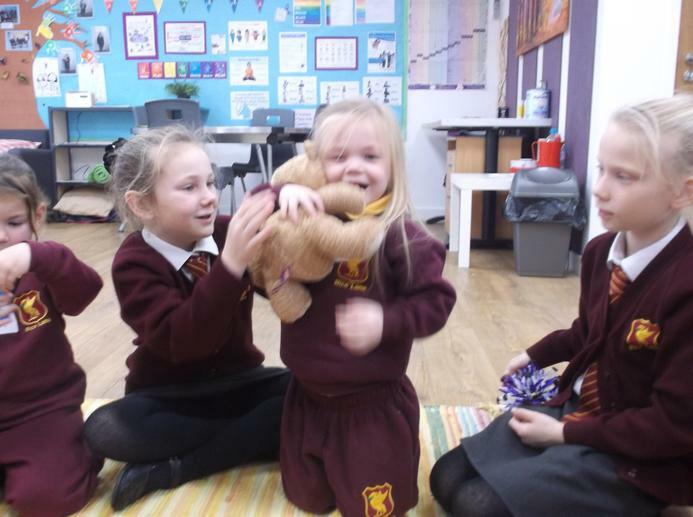 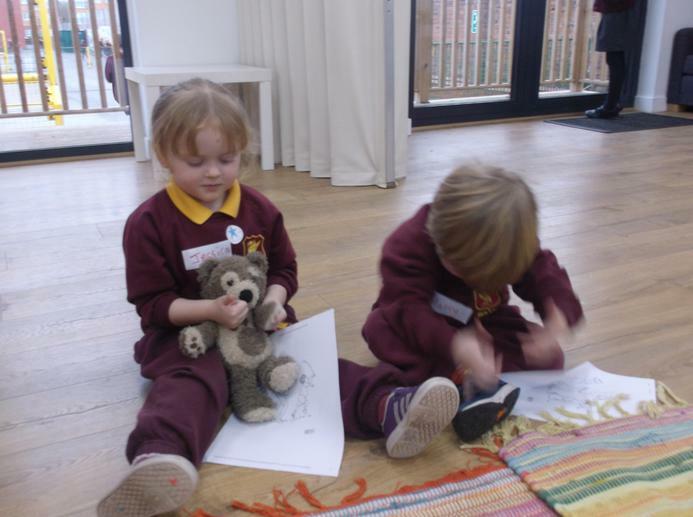 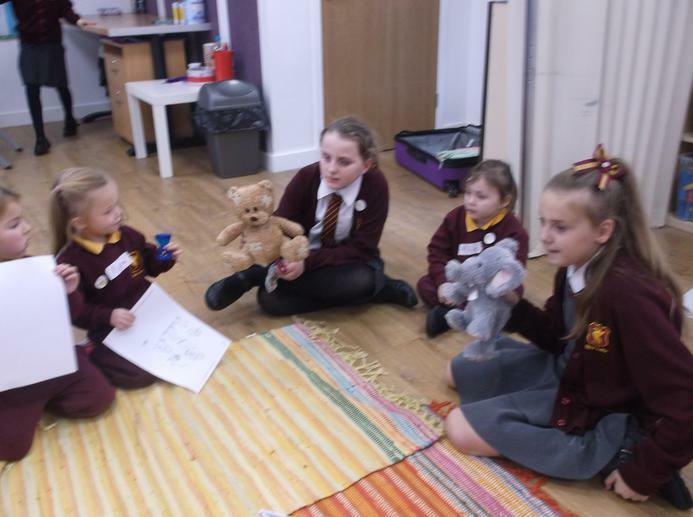 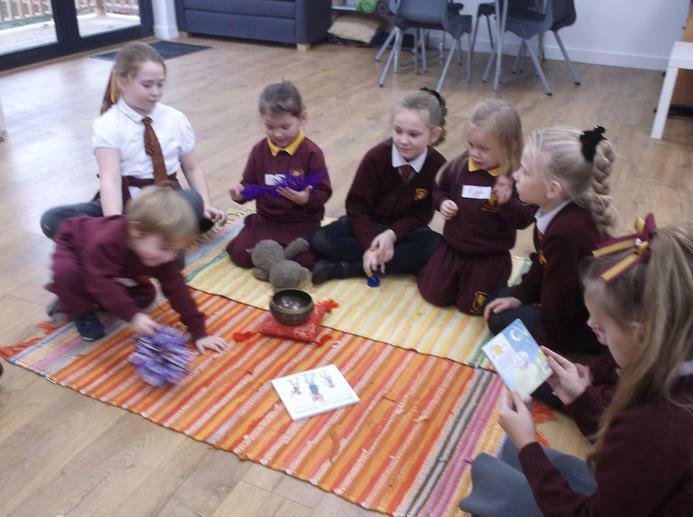 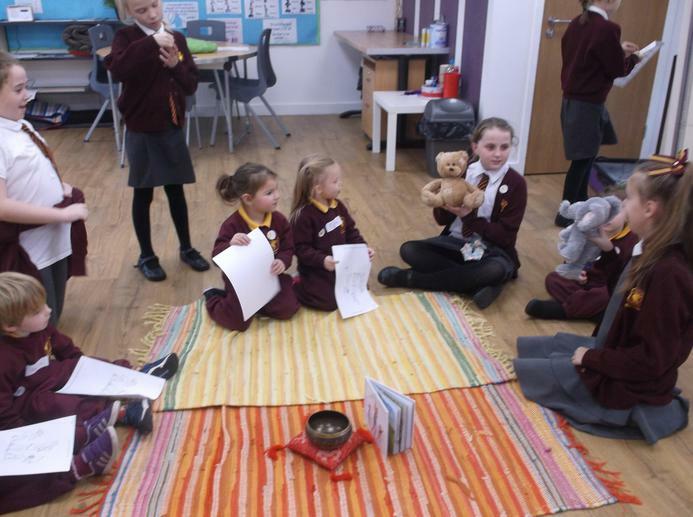 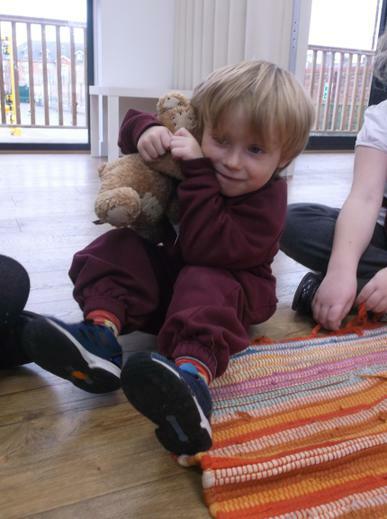 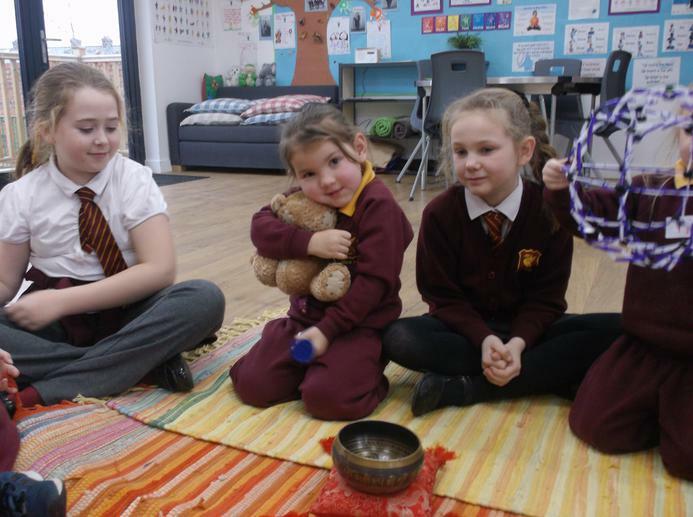 For the 'believe step', the children took it in turns to pass the teddy around a circle and tell their friends a positive comment about themselves, such as 'I am happy'. 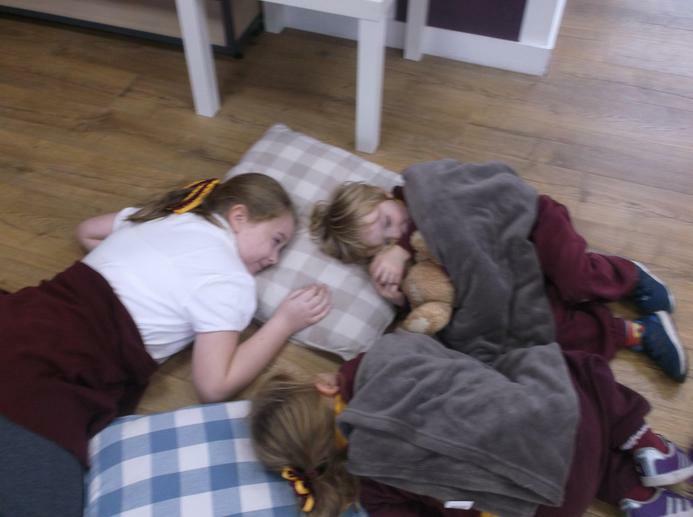 To finish the session we relaxed on cushions on blankets while listening to meditation music. 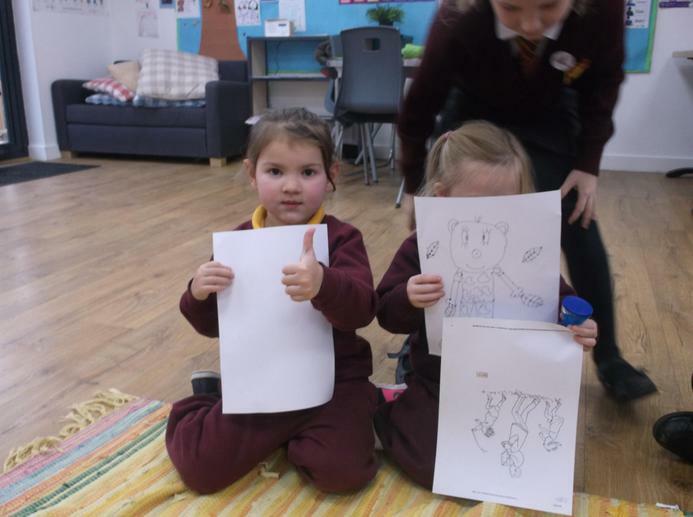 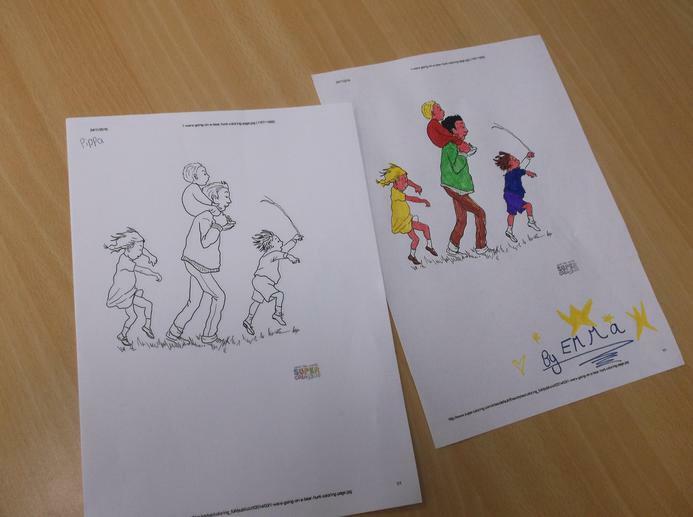 All the children received a sticker and a colouring in picture to take home.